Tonight’s motion 520 is mainly regarding threats and advocacy of violence against me and others, including a current US Senate candidate and former rules chair of the Libertarian Party of Miami-Dade. Additionally, he is a leader in a white supremacist group, the American Guard, a spin-off group of the violent anti-immigrant Sons of Odin – founded by Brien James (who also founded the Vinlanders – a Neo-Nazi group responsible for dozens of murders). This entry was posted in Libertarian Party on October 25, 2017 by paulie. Ryan Ramsey is the guy with no shirt on in the photo above. This entry was posted in Libertarian Party on April 12, 2017 by paulie. The Libertarian Party of Florida has new leadership, and in an effort to regain the trust of the voters and encourage candidacy, members of the State Executive Committee are assisting me in going beyond healing, and into reforms designed to move the party forward and mobilize for the coming election. This entry was posted in Libertarian Party and tagged Libertarian Party, Libertarian Party of Florida, Ryan Ramsey on June 23, 2016 by Krzysztof Lesiak. This entry was posted in Libertarian Party and tagged James Weeks II, Libertarian Party, Libertarian Party of Michigan, Ryan Ramsey on June 19, 2016 by Krzysztof Lesiak. This entry was posted in Third parties, general and tagged Christina Tobin, free and equal, Richard Winger, United We Stand Fest on September 18, 2015 by Jill Pyeatt. A question I get asked often is, Steven, if you are elected Chairman who will serve as Treasurer? This entry was posted in Libertarian Party on April 8, 2019 by paulie. 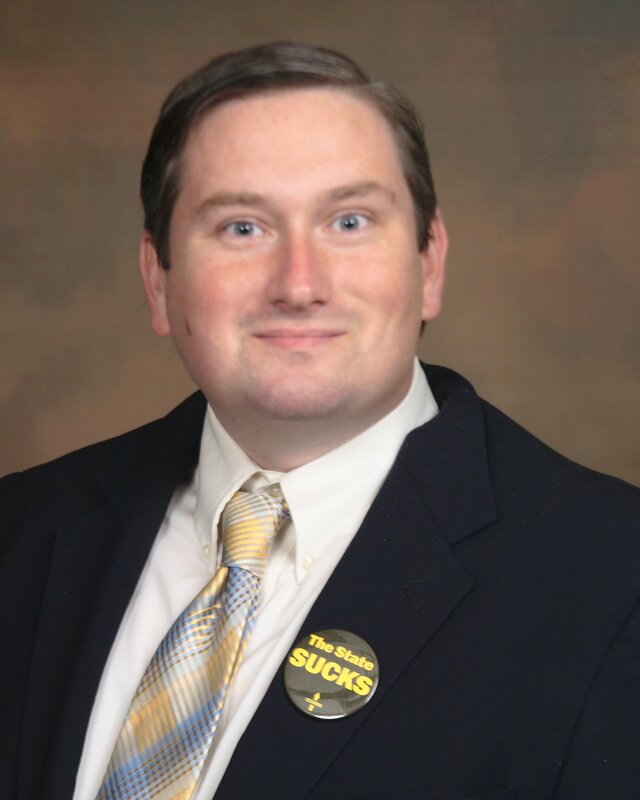 Walter “Libertarians for Trump” Block endorses Joshua Smith for LNC chair. Scott Horton and Mike Maharrey also pledge to advise the party. In celebration, Ryan Ramsey–who also endorsed Smith–goes on a rant about Sarwark and posted links from IPRX about the party not being “the white man’s party” anymore. This entry was posted in Libertarian Party and tagged 2018 LNC Chairman Campaign, Libertarian Party Drama on May 17, 2018 by Anon-Tipper. Question: Tell us how Augustus Invictus got involved in the LPF and your involvement into the campaign? This entry was posted in Libertarian Party on April 16, 2018 by paulie. Topics covered of possible interest to IPR readers include the LP Mises Caucus and entryism into the LP of Florida by white nationalists; fellow IPR writer Thomas Knapp answers a question by yours truly, Paulie. This entry was posted in Libertarian Party on November 6, 2017 by paulie. The Campaign must come to an End. This entry was posted in Libertarian Party on October 27, 2017 by paulie. An oil refinery flare, right, continues to burn through wind and rain as Hurricane Harvey moves into Corpus Christi, Texas, on Friday, Aug. 25, 2017. This entry was posted in Socialist/left parties on August 30, 2017 by Wang Tang-Fu.